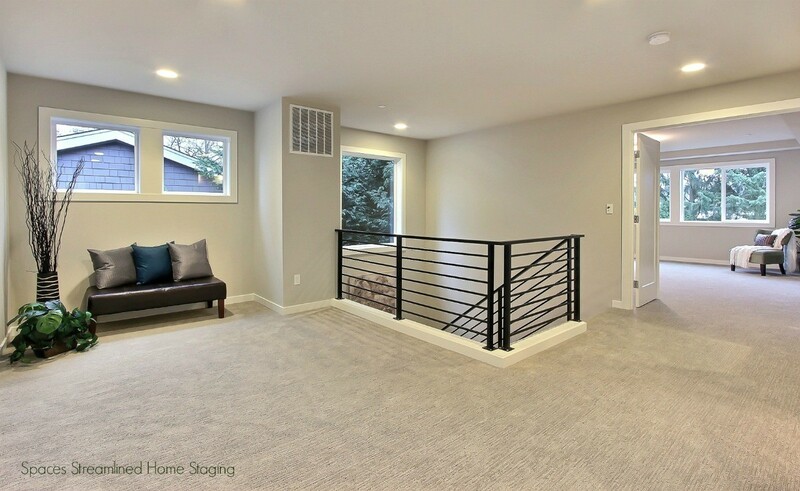 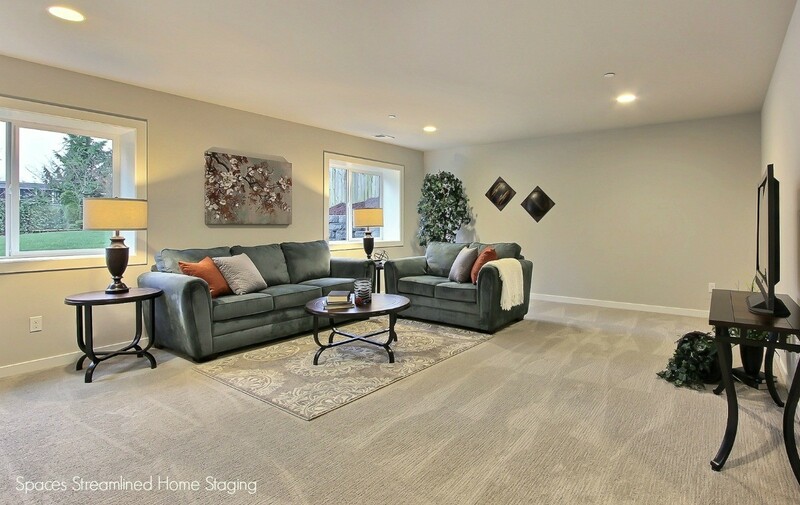 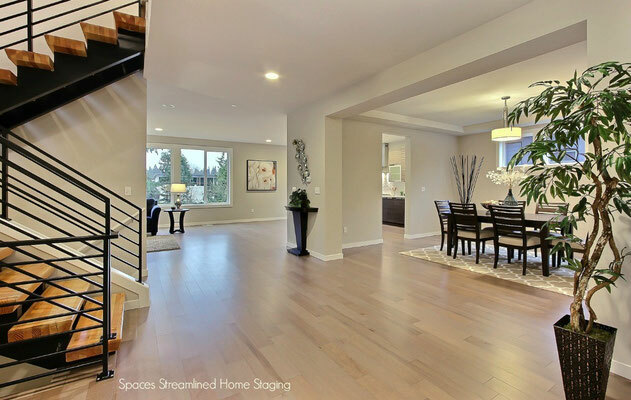 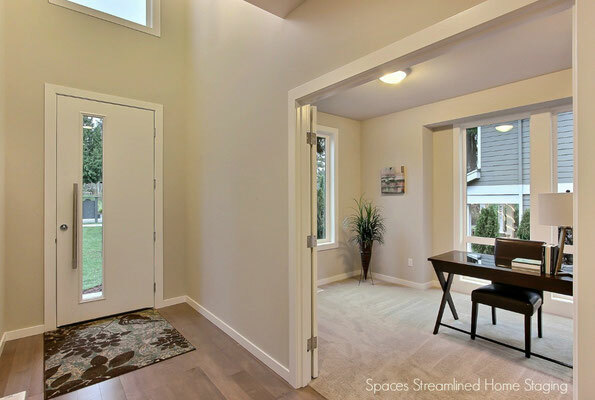 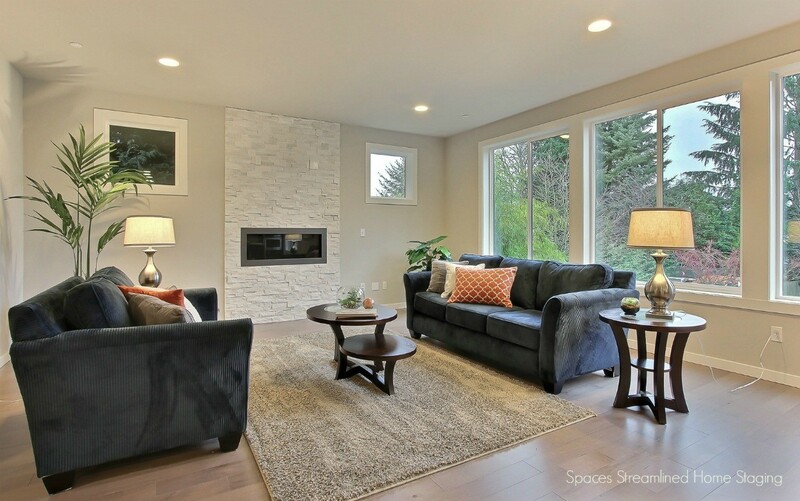 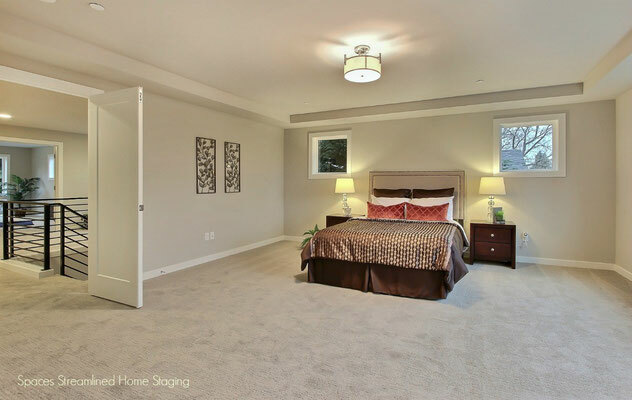 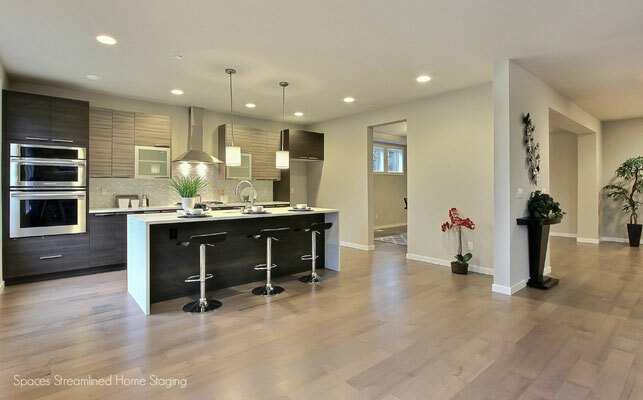 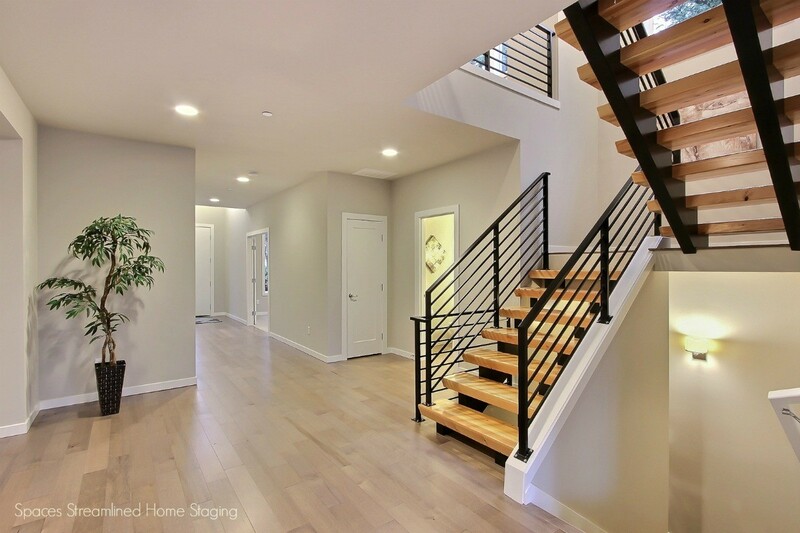 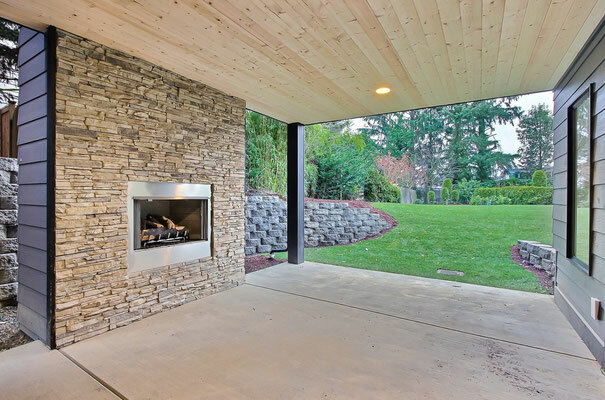 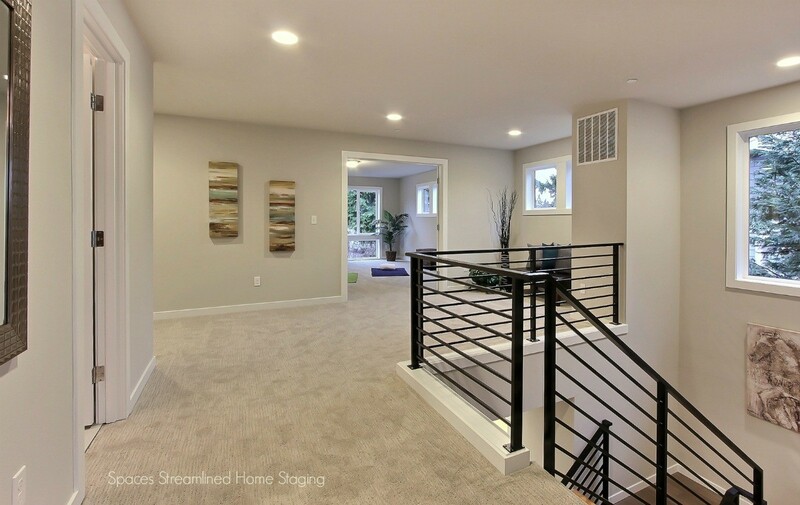 A Modern Home Staged - Spaces Streamlined Home Staging, Styling and Organizing Gig Harbor, Tacoma and surrounding areas. 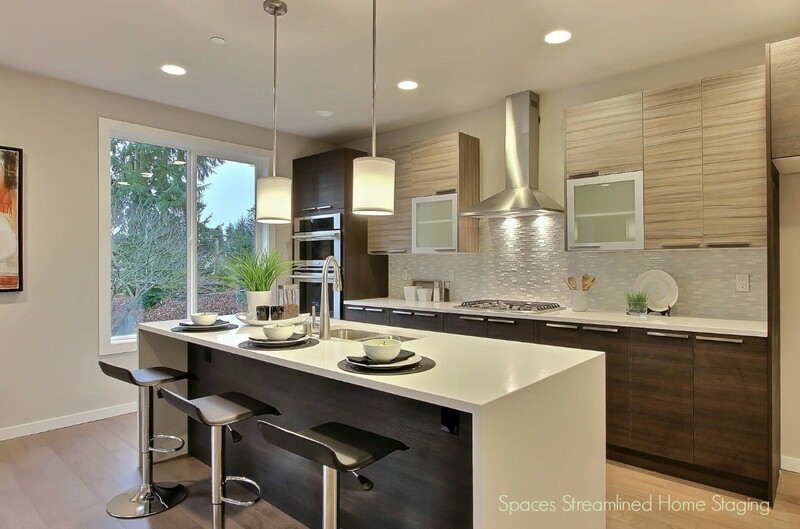 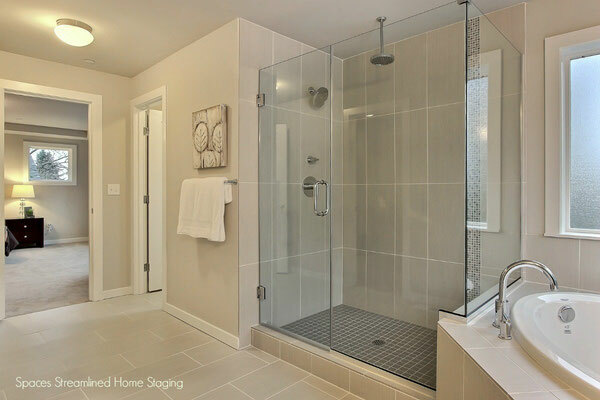 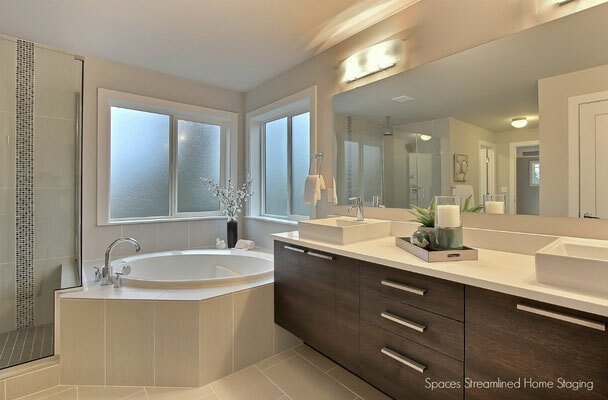 Spaces Streamlined was pleased to stage a home in this builder's new line of modern designs. 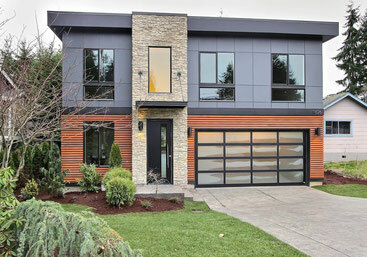 It has many large windows, bright and open spaces and simple, clean finishes. 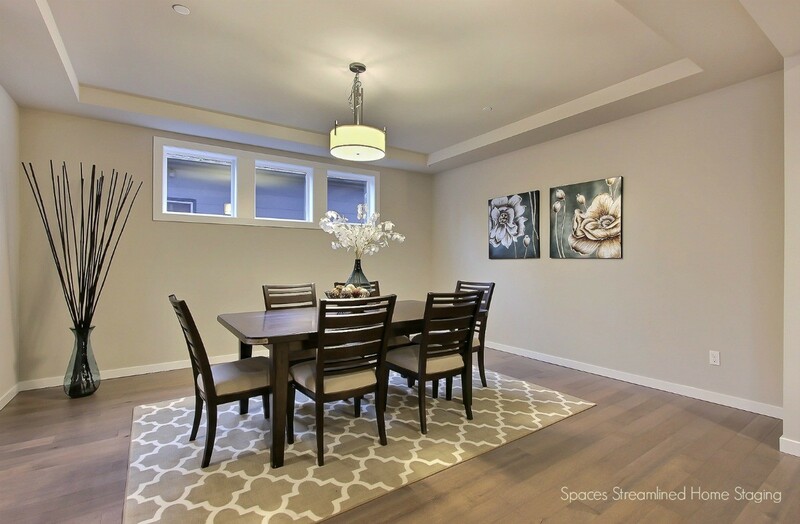 We chose furniture and finishes to complement the serene and uncluttered feel of the home.